For a few days (Or a week. Or a month), I toyed with the idea of making a birthday cake for my blog today. And by "for my blog today", I meant "for me because it's my birthday". Actually, my birthday was on Wednesday. But the point is that it happened and I was going to bake for it and then I got a better idea. It's blooper week! This week, I will share with you some of the mistakes I've been hiding from you this summer, because with my new mature age, I have no more shame. Apparently. This is a blooper in that I did not know how to cook. Also, ew. A mistake is a funny thing. Some of them are hilarious, like a Stormtrooper hitting his head on low door frame. Some of them are frustrating, like a missed question on a test when you realize as you walk away that you knew the answer. And some of them make me a little bit crazy, like errors in the written word. I know, I know, mistakes happen. They happen to you and to everyone you know and to everyone I know and… to me. I cringe when I admit that I, too, make spelling, grammatical, and other linguistic errors. But I stop cringing when I read funny books about it, because if I can find humor in something, it is less likely to bother me. 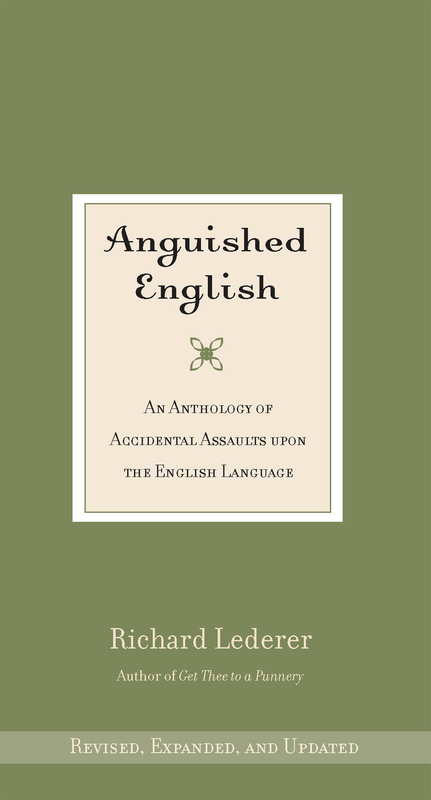 This is where Anguished English comes in, "an anthology of accidental assaults upon the English language". This book doesn't celebrate the mistakes, but offers them to the reader as a source of delight and entertainment. It's an encouragement not to take oneself too seriously. I don't usually take myself too seriously. Mistakes will always happen. So let's laugh at them. "The judge sentenced the killer to die in the electric chair for the second time." "In Pittsburgh they manufacture iron and steal." "After consuming my mother's vitals, I went happily to bed." "Dickens spent his youth in prison because his father's celery was cut off." These aren't even the best moments from this book. Just a few for giggles, like the pictures. This book is best enjoyed with a cup of tee and a good well-written book. Gilligan's Island. Lost. Cast Away. Survivor. Pirates of the Caribbean. 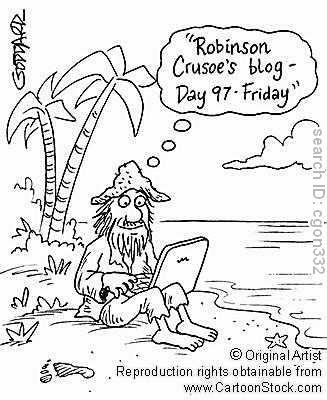 Clearly our society is a little bit obsessed with the concept of being stuck and (at least somewhat) isolated on a tiny island in the middle of the ocean. Are we fascinated by the loneliness, the hopelessness, the struggle for survival? Is it the exposure, the being forgotten, the madness, the pain? I don't know! 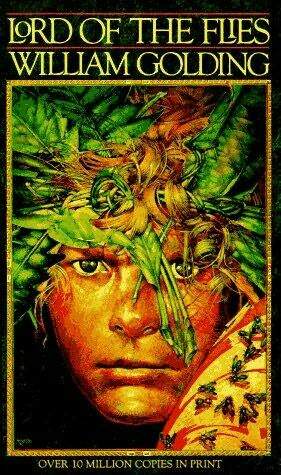 Then there are the spins on the idea, like in Lord of the Flies. Not only is this story about the problems I mentioned above, but more than that, it dives into the idea of civilization in a society limited in number as well as by life experience. And besides all that, it is captivatingly disturbing, and I have to be honest with you: that's a hard book to put down. A few months ago, a friend at work was sitting in the back of the store on his lunch break. And what he was eating looked delicious, so of course I asked and he told me it was brined pork that he had made. I'd been hearing about brining meat for a while now, and finally had to try it for myself. Possibly obnoxiously, I made him explain to me exactly how to do it. This was the result, of which I am proud. That is, I'm proud of the delicious, moist meal I made, especially because it's meat and that is an intimidating item to cook. I am not as proud of these pictures, especially after the ones I posted last week. These pictures are older and I was anxious to post another non-dessert recipe. And so I chose to share before making it yet again. And you know what? You're welcome, because it's delicious. So let us eat this in honor of Piggy, civilly with a knife and fork and plate and definitely not straight out of the pan with burned fingers. Brined means soaked in salt water. Get it? Like the ocean surrounding the island? I am hilarious, darn it! 1. Put the pork into the saltwater and refrigerate for 2-3 hours. 2. Preheat oven to 375°F (190.6 C). 3. Sear the pork in the olive oil on medium-high heat, just until the entire outside is cooked. 4. Put the applesauce in an oven-safe pan and lay the pork on top of it. 5. Pour on more applesauce. 6. Sprinkle pepper (freshly cracked is best! ), cinnamon, and ginger over the top. 7. Bake for 5-10 minutes. This meal is best enjoyed with fresh water out of a coconut shell and a good book. Sometimes heartbreaking stories are what you need to get through heartbreaking times. Crying is good for you. And so is honey. 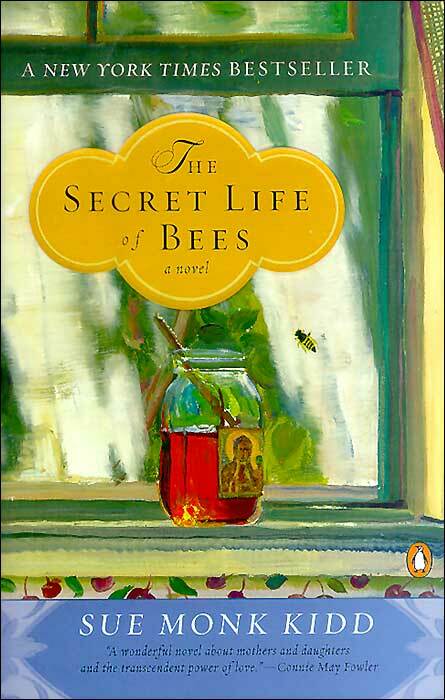 Have you ever read The Secret Life of Bees? It's a painfully beautiful book. It involves food (my favorite thing), the South (a beautiful place that I've always wanted to experience), bees (my grandpa is a beekeeper! I like bees), relationships (friend or family, they are endlessly important), truth, faith, and growing up. And peaches and honey. YUM. Growing up isn't about independence, I think. 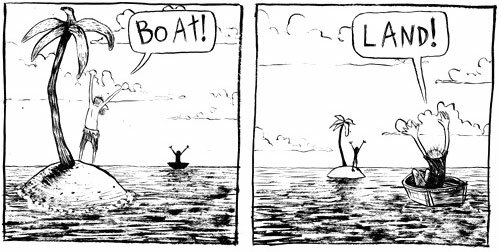 It's about realizing what your resources are-- friends, family, brains, money, talent, whatever-- and knowing when and how to use them. It's about learning the truth and finding your own. It's about making a decision- to run away or to say yes or to love or to leave- and realizing it's just a decision. It doesn't have to define you, as important as it may be. I was home this past week, because I needed some time with my beautiful mother. I couldn't be who I am without her, and even as an "adult" (take that word with a grain of salt), I know that I need her. And wonderfully, amazingly, she is there for me. And not just emotionally, but blogly, too! (That's right, I just turned "blog" into an adverb) While I was home, she pulled out a pie crust, a bag of peaches and nectarines, and some honey-roasted almonds, and said, "Let's make something!" So we did. And it was delicious. And you could be jealous. Except you shouldn't be, because you should go make this right now. You'll thank me in about an hour, after you've taken your first bite, but before you've taken too many (like I did). 1. Preheat oven as per the pie crust package instructions. 2. Slice all the peaches and/or nectarines and put them in a bowl. 3. Add the flour, sugar, brown sugar, almond extract, honey, (honey) butter, lemon juice, and cinnamon and mix well. Make sure to taste-test and control ingredient amounts accordingly. There should be a healthy amount of goop coating each peach slice, but not so much that it puddles or pools (or ponds or lakes!). 4. Put pie crust into a pie tin (or in my case, my mother's pretty blue pie dish). 5. Put the peaches and their goop into the pie crust. 6. 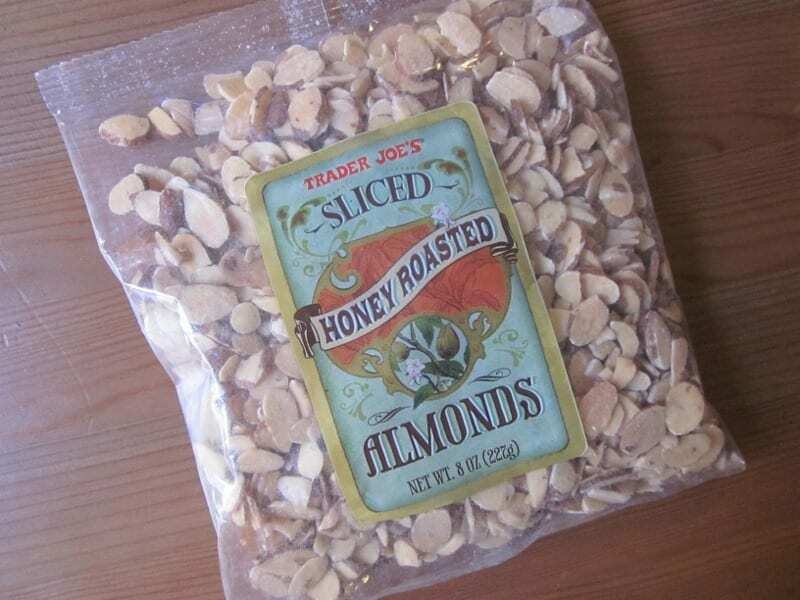 Sprinkle with a good amount of the sliced almonds. If you want, you can also sprinkle on some more cinnamon or brown sugar (or ginger! or nutmeg! or get creative!). This tart is best enjoyed with a tall glass of sweet tea and a good book. You're allowed to break your own rules. 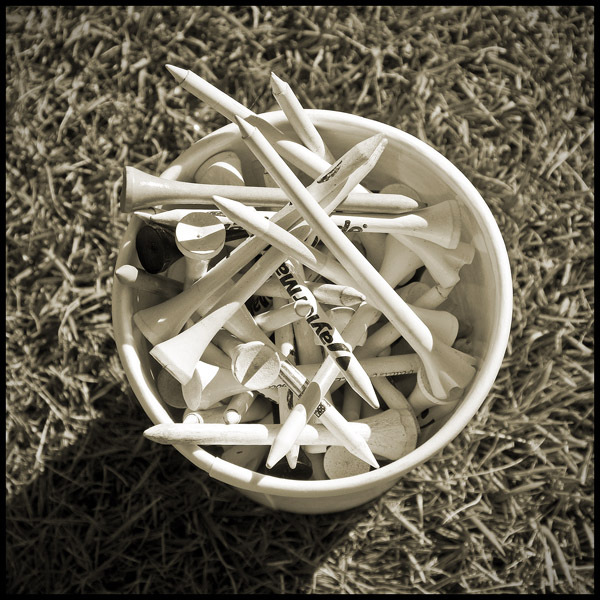 This week, I'm breaking my book rule, because this post is definitely not about a book. It is about my favorite television show, whose return I have awaited for a full year. 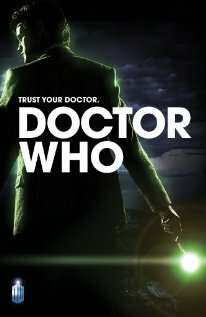 Do you watch Doctor Who? I absolutely love it, and have spent the last month rewatching old episodes to prepare myself for the new season that started this weekend. I can't talk about it because spoilers!, but I can tell you that it was worth the wait. The first episode of the new season was somewhat heartbreaking, and really quite fantastic. Do you hear that vworp vworp sound? It's either my telephone or the Tardis. If you don't watch the show, I can tell you it's about traveling through time and space or it's about the greatness and weakness of humanity or it's about relationships. There are episodes in the past, the future, and the present (the latter usually in London, as this is a British show), and of course they are beautiful and sad and hilarious and glorious. You may already have realized that I am a proud sci-fi dork (I will talk Who with you all day long if you let me. But right now I am going to stop. 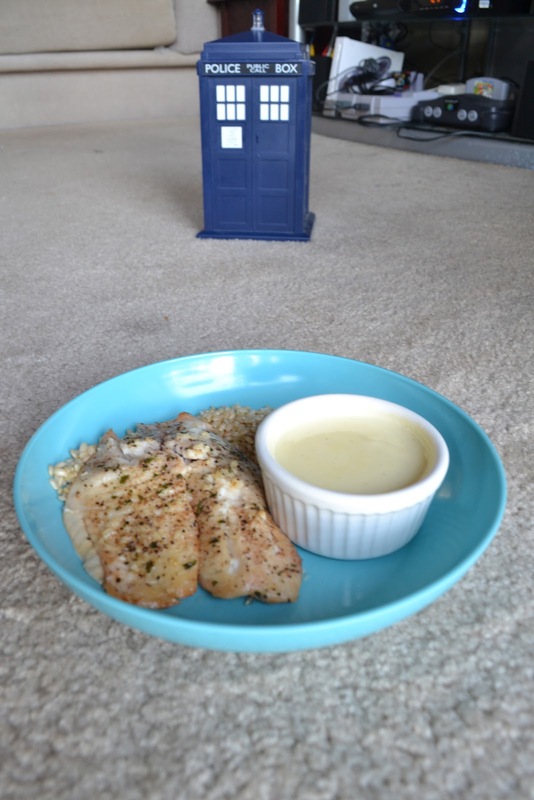 Two season premieres ago, the Doctor was desperately searching for a new favorite food combination. Through trial and error and making a mess in the kitchen (sound familiar? ), he chanced upon fish fingers and custard. On one hand, that sounds disgusting, because I don't think fish and vanilla sound like they'd mix very well. On the other hand, fish fingers are crispy and crunchy and salty, and custard is light and sweet... just like my favorite fast food tradition of dipping my french fries into my milkshake (don't judge!). In conclusion, I have determined that I would willingly sample this combination someday. But this is not that day. This day, I baked some un-breaded tilapia with some lemon juice, garlic, and butter, and made a bowl of fresh custard for my dessert. This was my first time making custard (I did not even practice this recipe. Oops), and let me tell you guys: it was fabulously easy. Your assignment this week is to log on to Netflix, catch up on all 6 seasons of Doctor Who, make fish and custard, and then begin watching the 7th season with me. You have a week. And don't you tell me it's impossible! Nothing is impossible. 1. Preheat oven to 375°F (190.6 C). 2. Chop up the garlic into itsy bitsy pieces (I suppose the proper term is "minced", but I prefer my description). 3. Put the garlic and the butter into a microwaveable container and melt them together. 4. Rinse the fish with cold water and pat dry with a paper towel. Put it into an oven-safe dish. 5. Pour lemon juice and garlic butter over the fish. 6. Sprinkle the fish with celery salt, pepper, and parsley. 7. Bake for 20-30 minutes. When it flakes/pulls apart nicely and isn't transparent inside, it's done! 1. Crack the eggs and beat them (just a little) in a small bowl and set aside. 2. Whisk together the milk, cornstarch, and sugar in a saucepan over medium heat. Wait until the milk scalds (tiny bubbles on the edge), but don't let it boil. Whisk so it doesn't burn/clump/etc. 3. Remove from heat. 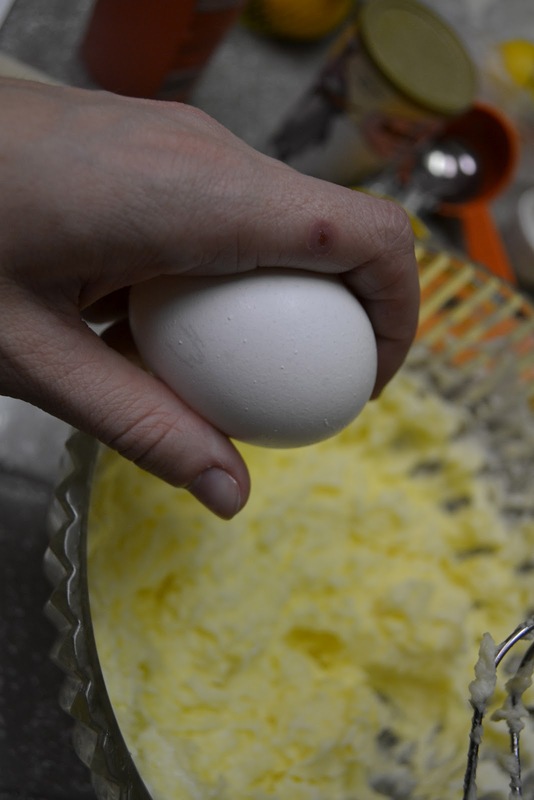 Take out a couple of tablespoons of the milk mixture and whisk it into the egg bowl. 4. Slowly pour the egg mixture into the saucepan, whisking constantly. 5. Immediately put the saucepan back on medium heat, whisking gently until the mix thickens (2-3 minutes). Don't let it boil! 6. If you want, pour the now-thickened custard through a strainer, to get rid of the eggy chunks. Add vanilla and mix well. 7. Let it set! You can eat it while it's still somewhat warm (I only let it cool for about an hour) or you can chill it in the fridge. This meal is best enjoyed with a cup of tea and a good book… or television show.